– Kid Menu to let your kids call you right away or update their location manually if needed. The pairing code is a code that you choose to ‘pair’ your phone to the phone(s) of your kid(s). It is indeed used to establish the connection between the two phones. 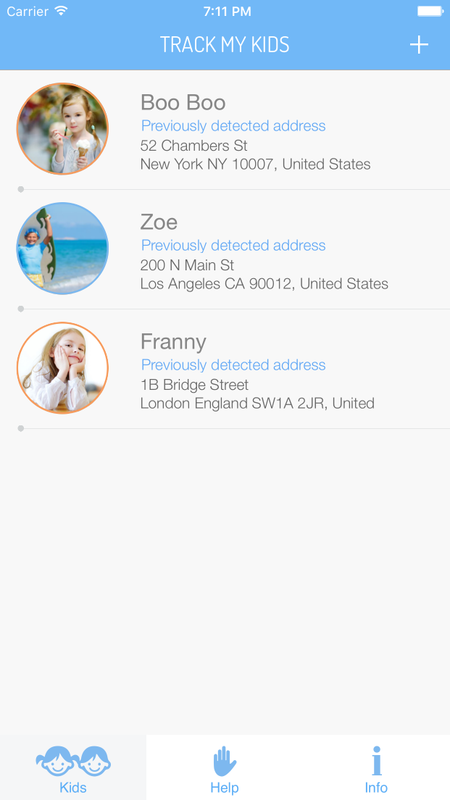 If both parents want to track their kids, they use this same pairing code to configure all phones. Be extreme carefull: This is obvioulsy a very sensitive information. You should keep it in a safe place because anyone using this app and obtaining this code, can track your kids as well as you do. How can I drive/walk to my kid location? Once the location has been detected, you can tap on the magnifying glass icon. 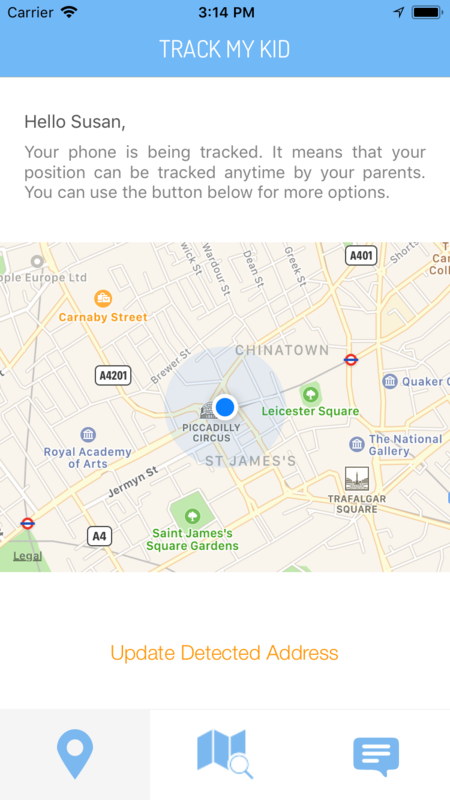 You’ll access a full screen map and at the bottom you’ll se a ‘Get There’ button. Once pressed you will be redirected to Apple Maps app with the latest gps coordination. The app will take you there. Why do these silent (hidden) notifications not work everytime? Well, it is a technical issue beyond our control, unfortunately. iPhones are very sophisticated devices and Apple is always working hard to guarantee the best possible user experience for their users. Therefore the “intelligence” of the operating system tries to minimise the battery usage. These notifications, as well as the GPS tracking procedure, are very power consuming. And not only Track My Kid may be taking advantage of those at a certain time. So the operating system is always working behind the scenes, and decides on its own what to allow or not and when. 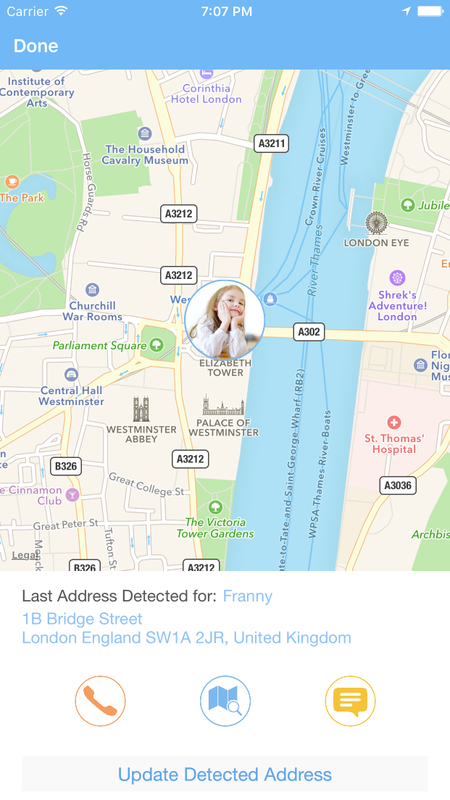 Track My Kid is a monitoring app able to track an iPhone or iPad by using their GPS subsystem. But it is not a “spy” application developed to track people without their consent. In fact, it is always assumed that you, as the parent of young kids, are the one in charge of installing the app on your phone as well as theirs. That said, the app uses a combination of silent and normal push notifications to perform these GPS position updates. When you tap on your kid name, the app shows the last detected position and the date when this position has been recorded. You can then tap on the “Update Position” button to request an update. What happens then? The app tries to get an automatic update from your kid’s phone. It indeed sends a silent notification (a particular notification that the user cannot see) that wakes up the app and start detecting the new position. But a silent notification is not guaranteed to reach destination. If it is unable to reach the phone for any reason (see point immediately below for a few more words on this) the app ask you if you want to send a normal push request to your kid. If you do so, the app sends a traditional push notification that is (almost) always received by the addressee (unless the phone is switched off, out of wi-fi or carrier coverage, of course). When this notification is received, your kid should tap on it causing the app to start and update their position. This GPS coordinates/position is then forwarded back to you on your phone. For this reason you should think about Track My Kid as an app able to establish a consensual connection between you and your children. If the system cannot perform an update automatically, it’s a good chance to tell your kids you want to hear from them, and eventually be assured they’re doing good! ARS box SA (“us”, “we”, or “our”) operates the Track My Kid mobile application (the “Service”). We do not knowingly collect personally identifiable information from children under 13 directly. But you should remember that the Service is indeed allowing (and requiring) you (as the parent) to store information and in particular the GPS location of you children in our servers. If you are a parent or guardian and you are aware that your Children has provided us with Personal Information, please contact us. If we become aware that we have collected Personal Information from a children under age 13 without verification of parental consent, we take steps to remove that information from our servers. But it is always assumed that you (as the parent with legal power to do so) have supplied these informations to us by installing the Service on your children(s) phone(s). Please read these Terms and Conditions (“Terms”, “Terms and Conditions”) carefully before using the Track My Kid mobile application (the “Service”) operated by ARS box SA (“us”, “we”, or “our”). The Service and its original content, features and functionality are and will remain the exclusive property of ARS box SA and its licensors. The Service is protected by copyright, trademark, and other laws of both Switzerland and foreign countries. Our trademarks and trade dress may not be used in connection with any product or service without the prior written consent of ARS box SA. Our Service may contain links to third-party web sites or services that are not owned or controlled by ARS box SA. ARS box SA has no control over, and assumes no responsibility for, the content, privacy policies, or practices of any third party web sites or services. You further acknowledge and agree that ARS box SA shall not be responsible or liable, directly or indirectly, for any damage or loss caused or alleged to be caused by or in connection with use of or reliance on any such content, goods or services available on or through any such web sites or services. In no event shall ARS box SA, nor its directors, employees, partners, agents, suppliers, or affiliates, be liable for any indirect, incidental, special, consequential or punitive damages, including without limitation, loss of profits, data, use, goodwill, or other intangible losses, resulting from (i) your access to or use of or inability to access or use the Service; (ii) any conduct or content of any third party on the Service; (iii) any content obtained from the Service; and (iv) unauthorized access, use or alteration of your transmissions or content, whether based on warranty, contract, tort (including negligence) or any other legal theory, whether or not we have been informed of the possibility of such damage, and even if a remedy set forth herein is found to have failed of its essential purpose. ARS box SA its subsidiaries, affiliates, and its licensors do not warrant that a) the Service will function uninterrupted, secure or available at any particular time or location; b) any errors or defects will be corrected; c) the Service is free of viruses or other harmful components; or d) the results of using the Service will meet your requirements.